Viewers chimed in and OVER 10,000 votes were cast. We want to thank the viewers, Mangy Moose Cafe and Mike's for participating in our voting poll. And the winner is Mike's! Look for Keba Arnold to be at 1120 N Main St, Manteca 95336 this Friday, June 27, and she won't be alone. City of Manteca Mayor Pro Tempore Stephen "Steve" DeBrum, Manteca City Councilman Vince Hernandez, Chamber of Commerce Executive Director Joann Beattie , and Manteca Convention and Visitors' Bureau CEO Virginia Camacho will be there, too. Plus, News10 My Neighborhood will also be there. 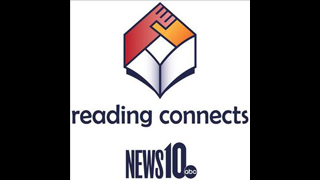 We'll share all the excitement happening on the News10 My Neighborhood site for both our viewers and potential contributors and be available to anyone who has a news story to share.